Picturesque Maysville nestled on the banks of the Ohio River in northeastern Kentucky, just one hour southeast of Cincinnati, Ohio, and an hour northeast of Lexington, Kentucky, bursts with opportunities for memorable experiences. Celebrating a vivid past while embracing the promise and advantages of the 21st Century, Maysville always has been and always will be naturally charming. 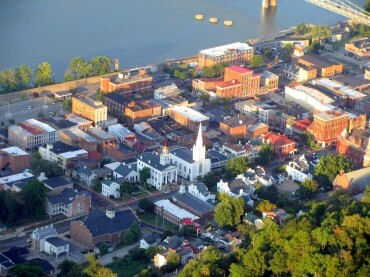 Coursing over the north of Maysville is the Ohio River which, back in the 1700’s enticed its city’s benefactors – Christopher Gist, Captain John Hedges, Simon Kenton, Daniel Boone, John May and Henry Clay, plus others – to share a vision of the community as a haven for experiences steeped in culture, business and the arts. Today, Maysville has become the reality of that 258 year old vision. Throughout the city, experience our arts, both performing and visual, public parks, school campuses, and charming residential neighborhoods. Enjoy the incredible 18th century architecture where the stately, edifying churches are lasting testaments to the dreams of the Hedges and the Kenton party. The city shines with footlights from its award-winning theaters. 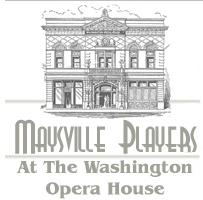 The newly restored 1889 Washington Opera House, run by the Maysville Players since 1964, seats 500 patrons and is located in downtown Maysville on West Second Street. The famous Opera sign serves as a beacon for people eager to experience professional arts, live entertainment and civic events. The theater basked in the national spotlight with the red carpet premiere of George Clooney’s film “Leatherheads” in March of 2008. Maysville is also home to the Russell Theatre. This 1920’s atmospheric theater also hosted a red carpet event when Maysville’s own Rosemary Clooney returned for her premier “The Stars are Singing” in 1953. This beautiful theater is currently undergoing a major restoration and soon will showcase exquisite theater architecture complete with stars twinkling in the ceiling. Visual arts are celebrated with original exhibits by local artists in Maysville’s galleries and many local businesses. The Ohio River Valley Artist Guild ORVAG, located in The Cox Building, and The Kentucky Gateway Museum Center, located on Sutton Street, features numerous traveling and permanent exhibits all year long. The Eat Gallery on Second Street, the Ken Swinson gallery on Old Main Street and many other local artists contribute to Maysville’s unparalleled works in oils, pastels, water, photography and mixed media that are all housed for viewing and sale in cozy, visitor-friendly galleries around town. With an established and well-earned reputation as a collectible, antique, and craft-lovers paradise, Maysville boasts a significant selection of collectible stores both in downtown Maysville and the historic frontier neighborhood of Old Washington. Unique stores add to the Maysville experience and provide endless opportunities for treasure and pleasure shopping. Choose a great gift for your pet or a bauble for a cherished young lady, a sweet treat for a significant other and something just for you from any one of our specialty shops. As for dining, Maysville has captured the respect of food lovers throughout Kentucky. Your trip would not be complete without visiting one of our unique restaurants. Margie’s on Market Street, known for her southern cooking and Hutchison’s Grocery on East Second Street famous for her country hams are just the beginning. Delites is a favorite lunch spot. Everyone knows each other and you can catch up on the news of the day. No one comes home for a visit with out stopping by for a bite to eat. Get a taste of Maysville by visiting Chandlers, on Market Street, which raves great reviews for its contemporary cuisine while dining in the charming atmosphere of a beautifully restored 1888 building. Caproni’s on the River continues to lure guests eager for a taste of refined elegance, set in a warm casual setting and offers expansive views of the Ohio River. Folks looking to relax and unwind or catch-up with friends can always visit one of our charming pubs with live entertainment. A traditional favorite is Desha’s at the top of the hill. Everyone gathers for great food, trivia night or to watch that special sporting event. If that isn’t enough visit one of your favorite national restaurants. Special events and festivals are the mainstay of Maysville-Mason County Tourism. Maysville loves a street party as is evident throughout the summer and fall as everyone congregates on Market Street for wine tasting and music at Maysville Uncorked, barbecue and music at Pig Out in Maysville, or just good music and family fun at one of the other many downtown events. In Old Washington we hold true to the frontier heritage with annual events such as the Simon Kenton Harvest Festival and Frontier Christmas. 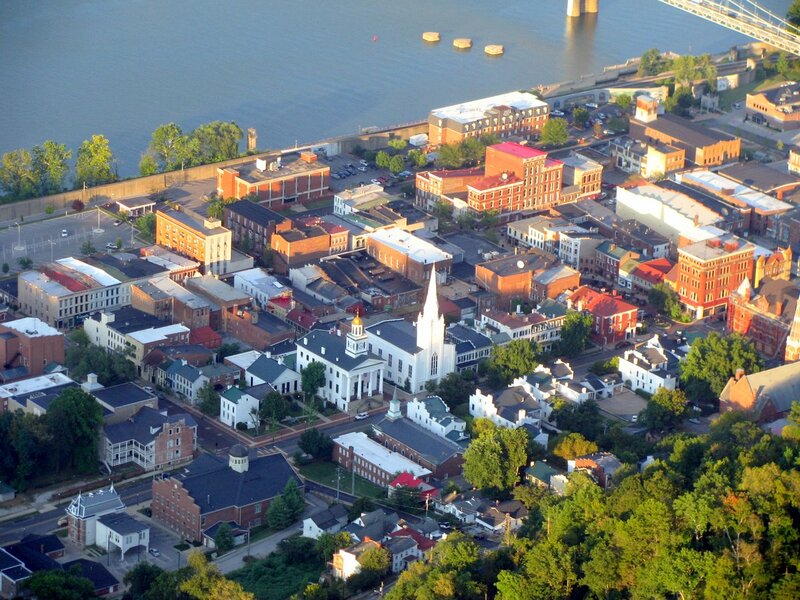 The multitude of annual events in Maysville, provide every visitor with many reasons to spend a few days here! Overnight lodging choices in Maysville are incomparable. The privately owned French Quarter Inn, where the romance of New Orleans lives within the elaborate interior is majestically nestled on the banks of the Ohio River awaiting your arrival for a memorable stay. There is also a wide selection of select hotels with great service and contemporary amenities. Maysville has the perfect accommodation to meet the needs of visitors eager to enjoy the community’s natural charm. Finding your way to Maysville is easy. The city is less than an hour and a half from Cincinnati-Northern Kentucky International Airport (CVG) and Lexington’s Blue Grass Airport. Both cater to most of the major airlines. Just 15 minutes from Maysville is the Fleming-Mason County Airport which provides wonderful access for private planes. Traveling by car? Maysville is only an hour northeast of Lexington, Kentucky on US 68 or only an hour southeast of Cincinnati, Ohio on the AA Hwy. Enticed by the notion of touring Maysville by motorcycle? Visitors are more than welcome. Regardless of the time of year – activities, adventures and moments to share abound here. Our goal is to provide the ultimate in service – whether you are looking for a weekend getaway, sporting event, meeting destination, or a new place to live and work. We hope to help every visitor go home with a great story to tell about the natural charm of Maysville Kentucky, as well as the desire to come back and visit again…and again…and again.